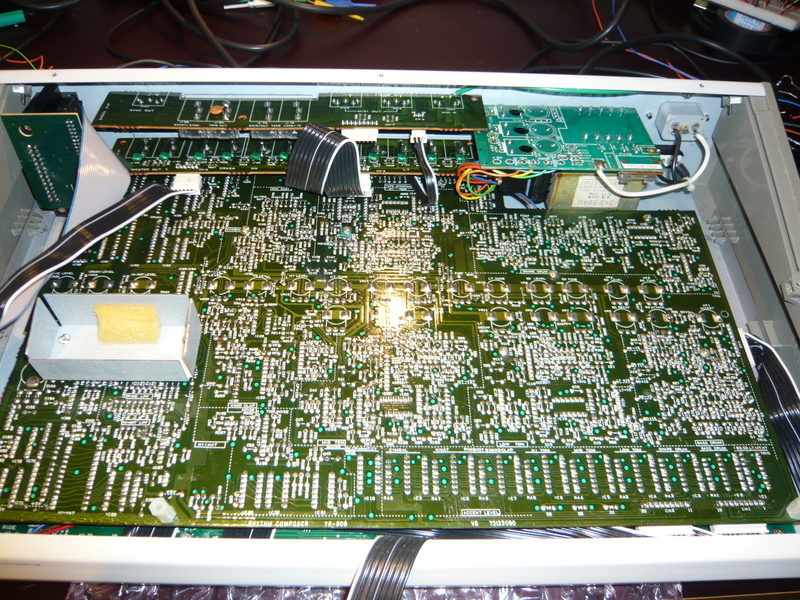 Another TR-909 for repair on the Bench. 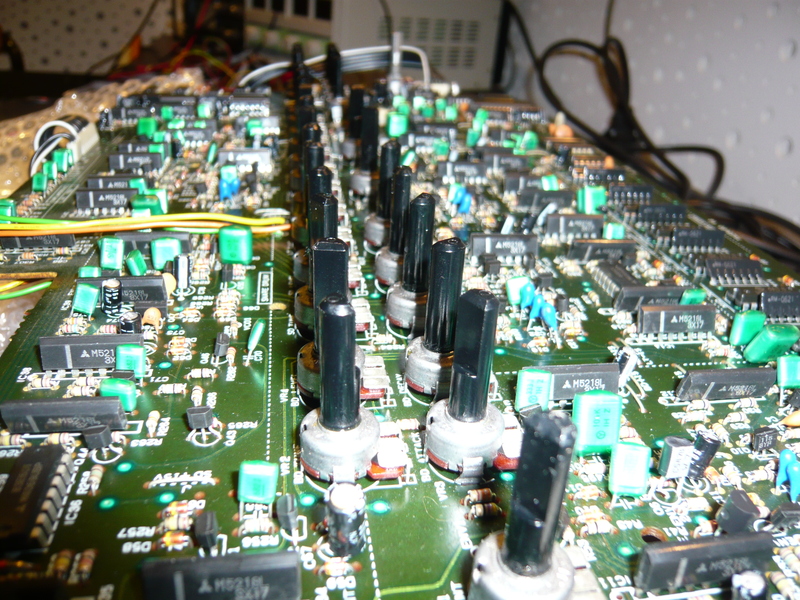 This is actually the 4th TR-909 I am repairing! I tested the signal flow for the pulse and noise signal which is added to the sine wave part of that bass drum sound, everything nice here, envelope for pulse also generated, so what’s wrong with it, eh? 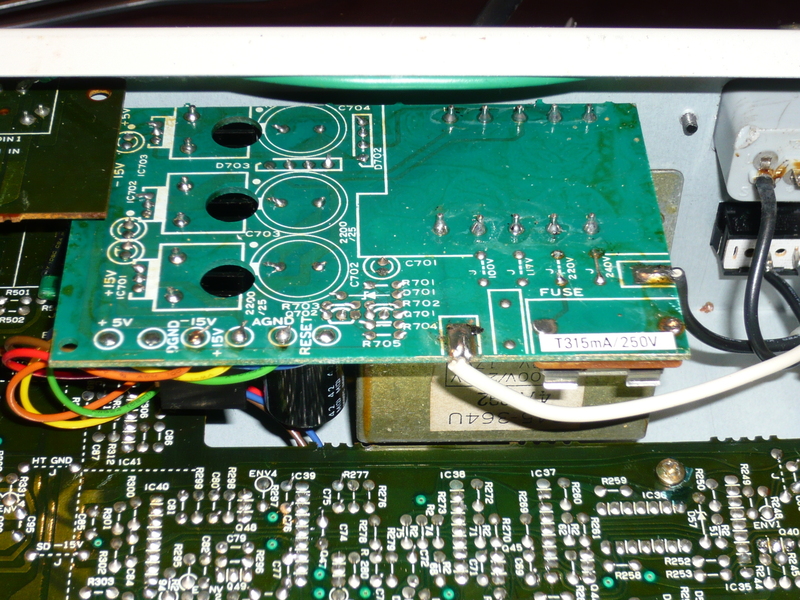 Well, I found out that by bending the pcb slightly next to the screw hole close to the bass drum circuit, the attack sound appears and vanishes again from the signal output. 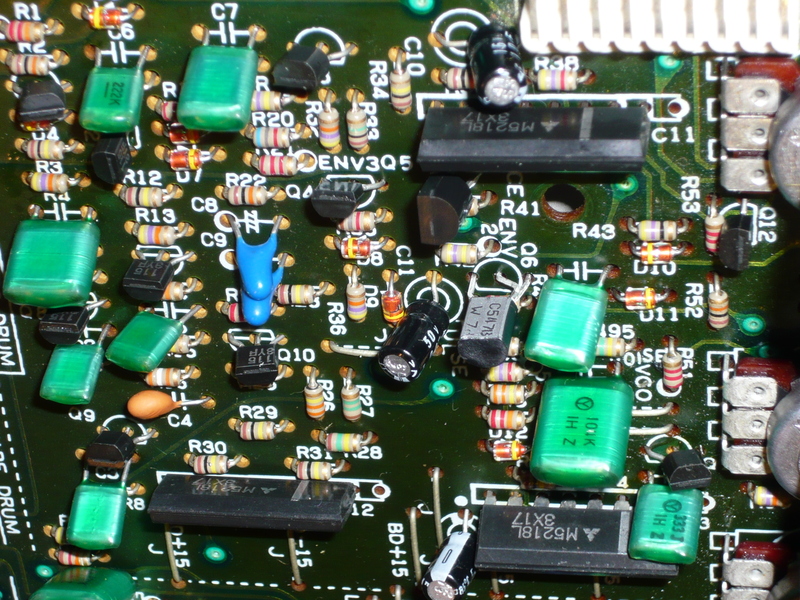 Which meant some sort of cold solder joint or badly soldered pin of the opamp or one of the components around that area. So after resoldering everything works nicely again. Since I already opened up the machine I also changed the AC mains input from 220V to 240V, which is better for the power converters, since we’re on 240V AC here in our region. 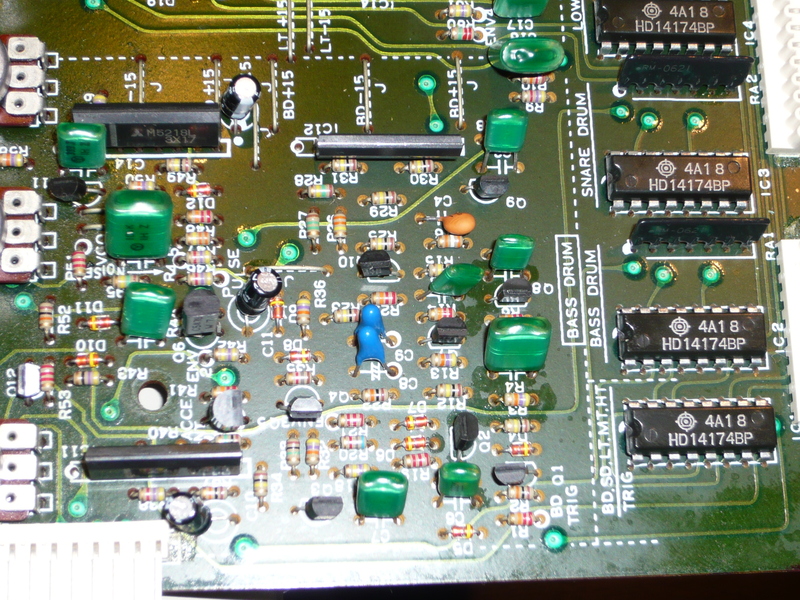 Some cold solder joints around the screw hole caused the problem.